Algebra does a good job summing up how most people perceive life after work; Florida’s real estate market would cease to exist, otherwise. But not all retirees think alike. There are some who refuse to let their age dictate their potential. Meet the athletes who prove that age, truly is, just a number. Ed Whitlock, 85, Ontario, Canada: The oldest person to run 26.2 miles in under four hours. Ed Whitlock is a wonder of science. At age 85 his trophy cabinet is enough to make Jordan blush. He is the oldest person to run a marathon in under four hours, and the only person over 70 to complete a marathon in under three hours. His endurance levels track the equivalent of a college athlete who plays recreational sport, and his VO2 max: the measure of an individual’s aerobic fitness, makes him a statistical outlier for his age-group. The average VO2 max for someone in their eighties is 20, Whitlock scored 54. According to Scott Trappe, director of the human-performance laboratory at Ball State University, Whitlock’s physiology is nothing short of ‘phenomenal’. So what gives? How has a retired engineer from the outskirts of Toronto become the world’s best athlete for his age? It’s worth pointing out that Whitlock is genetically gifted. He runs with a perfect gait and tested for abnormally high levels of muscle retention; crucial prerequisites for any runner, let alone an octogenarian. But it takes more than good genes to truly master one’s craft. Whitlock takes a simple approach to training: a solo runner, never part of a pack and never received coaching. 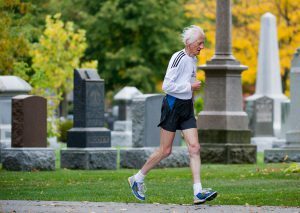 His training sessions consist of laps around a cemetery which are usually three hours long, multiple times a week. With no fitness gadgets attached to him, Whitlock prefers to just get it done. Whatever it is, this 85-year-old has scientists equally puzzled and amazed. Peggy McDowell-Cramer, 75, Santa Monica, Ca. 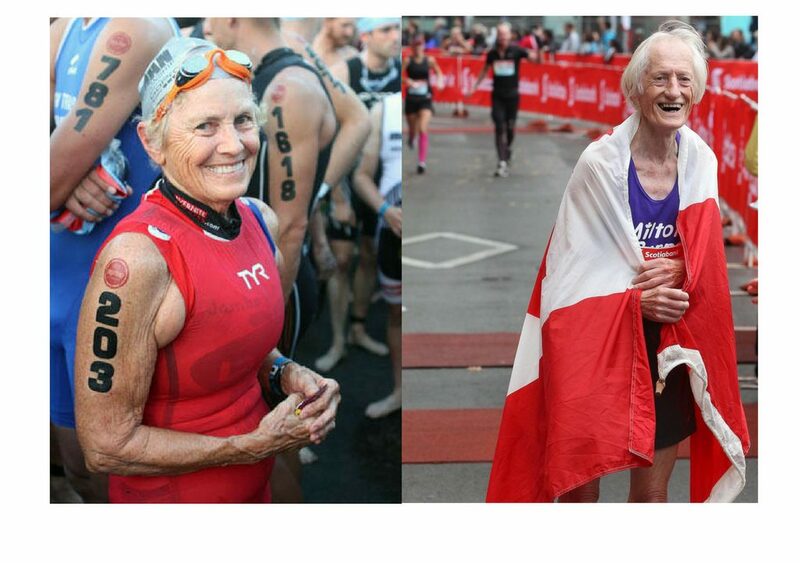 Ironman’s oldest female competitor. It may surprise you to know that Peggy McDowell-Cramer only started racing Ironman competitions when she was 51. 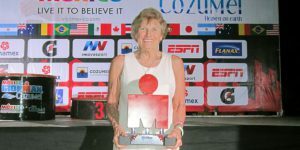 Twenty-four competitions later (once crowned winner), she became the oldest female competitor last year, aged 75. In October, she finished the course in 17 hours and 8 minutes but was the ONLY female to have entered in the 75-79 age group. For this reason alone, she deserves everyone’s medal!! Peggy completed a 1hr28min swim, an 8-hour bike ride, and whole marathon in 6hr59mins. Just reading that is enough to scare me! 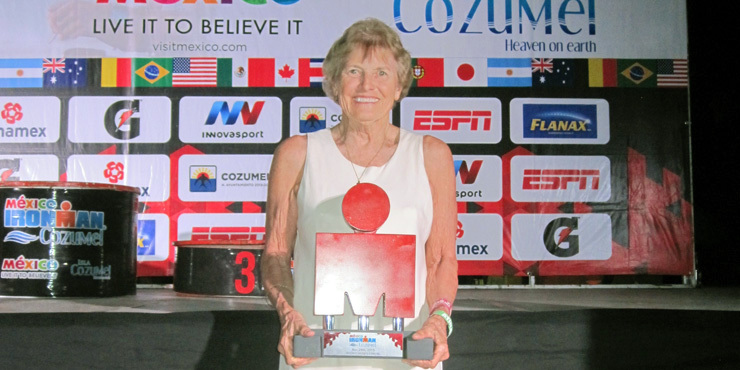 So is Peggy, the 75-year-old Ironman veteran, super human? She wouldn’t say so. Much of her success rides off her spirituality; she has been a Presbyterian minister for 30 years and credits this for getting her to the finish line on more than one occasion. 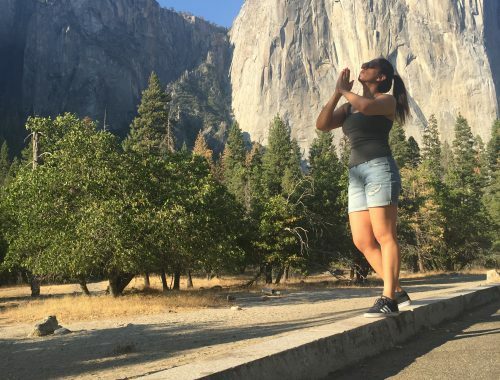 As a firm believer in balance, her training revolves around her life, not the other way around, as is common in a sport such as Ironman. 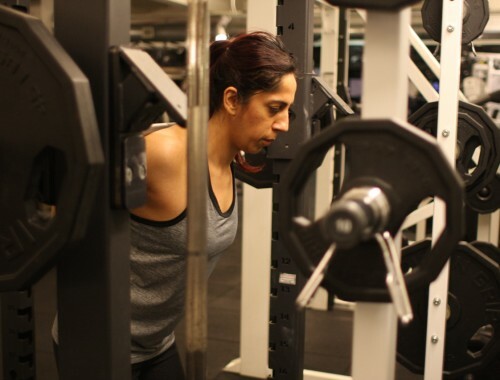 But when she does train, McDowell modifies her program to reduce stress on her joints and minimize the risk of injury. She spends more time doing laps in the pool than running. The stories of Ed Whitlock and Peggy McDowell-Cramer are delightful and inspiring. Their achievements are reshaping how scientists perceive age-related performance. Whether you’re retired, in the prime of your twenties or a middle-aged mom of three, Ed and Peggy prove that you are capable of more than you know. Now, go sign up for that Spartan!!! !